Last fall Rogers successfully inked a landmark $5.2 billion, 12 year deal with the NHL to cover all Canadian broadcasting rights, beating out Bell and the CBC in the bidding process. We’ve already seen the new broadcaster hires for the upcoming 2014-15 NHL season and now Rogers has unveiled the details of their NHL GameCentre LIVE. Rogers NHL GameCentre LIVE will allow users to stream all games online via the web and the NHL GameCentre LIVE mobile app, on top of other devices like tablets, and the app available via Apple TV. Regional in-market games for Vancouver, Edmonton, Calgary, Montreal, and Leafs on an authenticated basis. And of course, Rogers GameCentre LIVE will continue to offer out-of-market games. 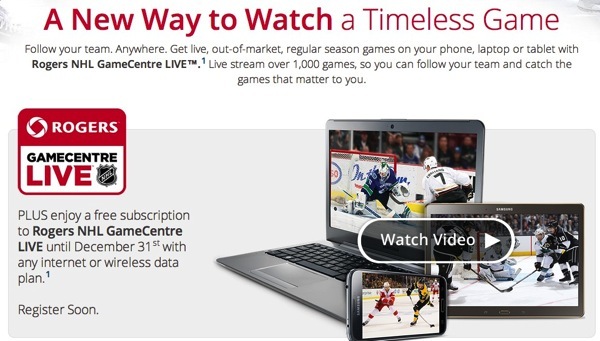 For eligible Rogers customers subscribed to internet and wireless data accounts, they can register soon to get a free trial of NHL GameCentre LIVE until December 31, 2014. NHL GameCentre LIVE usually costs around $160US for an entire season and a couple years it was offered for $49.99 CAD due to the shortened season. 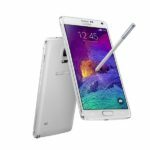 Since Rogers will be broadcasting more games, the cost for this season will be $199. As for the existing NHL GameCentre LIVE website, it now redirects to the Rogers webpage. Also, there will be a French-only package that includes les Canadiens (60 games) and les Sénateurs (54 games) regional games for $59.99. If users are able to subscribe to Rogers NHL GameCentre LIVE via the Apple TV and the in-app purchase process, if you are funding your iTunes account with discounted iTunes cards, you can save 10-15% off your subscription. Let us know if you’re going to jump on NHL GameCentre LIVE this hockey season!